How do you stop a third of the world's food going to waste? Chefs are getting inventive by using up every husk, peel, pip and previously binned extract in their kitchen. They're going beyond just throwing scraps into a stockpot and actively giving ingredients a second life: spent coffee grounds are transformed into kombucha or breakfast soft-serve, mango seeds are transformed into syrups while avocado pips add nutritional bite to pesto, and even fish scraps can be reworked into a dessert you'd want to eat. 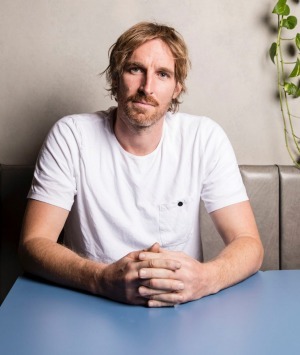 For Travis Harvey, executive chef of food-rescue charity OzHarvest, things have evolved since his early days in a hatted restaurant where countless chicken wings would be extracted for collagen – with the meat thrown into the bin afterwards (even as employees quietly went without a staff meal). Nowadays, drawing out as much flavour and purpose from an ingredient is inspiring today's industry. What's the most wasted ingredient in Australia? Bread. Cheap and widely accessible, with people expecting sandwiches to be on the freshest slices possible, this staple is discarded before it has time to get stale. While yesterday's loaves can often become today's panzanella, chefs are getting even more original about using every crumb. Harvey turned leftover Brasserie Bread sourdough into ramen noodles at OzHarvest's last Sydney pop-up cafe, while three-hatted restaurant Sixpenny revives old loaves by rebaking them with spent coffee and golden syrup to add a wonderful toffee-like flavour profile. Tristan Rosier turns excess dough into everything from croutons to sauce thickener at his Sydney restaurant Arthur. Shinobu Namae, a guest of Adelaide's upcoming Tasting Australia festival, has opened Bricolage, a bakery/cafe near his Michelin-starred L'Effervescence restaurant in Tokyo. With help from the Anglo Japanese Brewing Company, he's come up with a boozy way to use up loaves: "We handed over our stale bread and they add malt and some more grains and hops and yeast to make delicious beer!" When Ben Devlin worked at Brisbane's Esquire, he noticed Murray cod had great stores of fat. So he turned them into sweet brioche petits fours. "Realistically, a fat is a fat, whether it's butter or cod fat," he says. At his new restaurant, Pipit in the NSW Northern Rivers region, he might use cobia fat and roasted brown kelp to create madeleines, baked in cleaned sea shells. Chef Josh Niland, who runs Sydney businesses Saint Peter and Fish Butchery, also takes an unorthodox approach to sweets. His waste-minimising menus include stomach tripe doughnuts and a caramel slice first served at OzHarvest's event for Massimo Bottura. While a dessert flavoured with cobia fat and fish scales mightn't seem like an obvious crowd-pleaser, the dish was so successful it was instantly added to Saint Peter's menu. "I want people to think beyond the fillet," he says. And not just with dessert, either. "The liver from ducks and geese creates exquisite foie gras, but why not [use] fish liver?" he asks. "We have built these constraints into the realm of our thought process, but it has to evolve." Alex Elliott-Howery used to succumb to "lazy habits such as throwing away the tops of beets, or broccoli stems or tired old wrinkly capsicums". 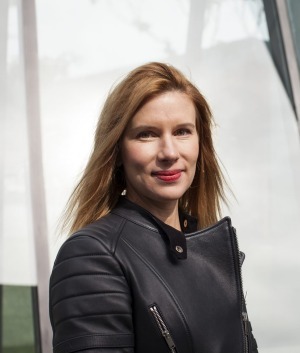 These days (thanks to the waste-minimising Cornersmith businesses she runs with husband James Grant), she's so good at ensuring every core, husk and pip is diverted from landfill that her children call them the "Ibises" or "The Bin Chickens". Chefs across their two Sydney cafes (and current Museum of Contemporary Art pop-up) keep inventing ways to use everything, from stem to seed. 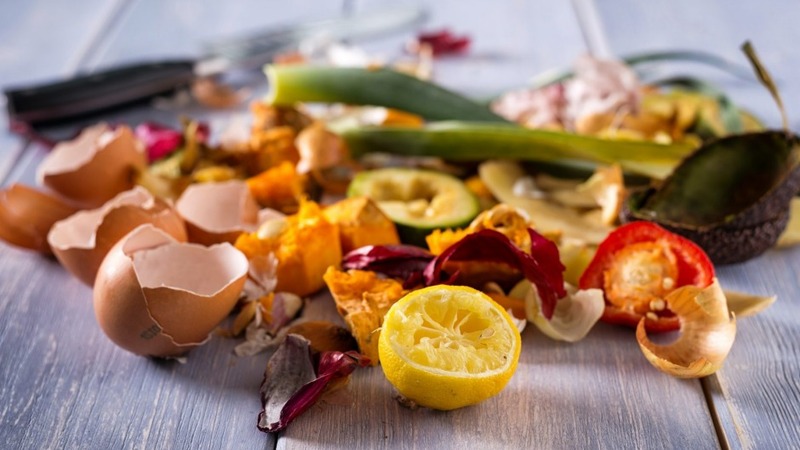 "Once you start thinking about food waste, it's really difficult to throw anything out!" she says. "It is extra work, but I can't run the business any other way. I wouldn't be able to sleep at night." Her staff reduces pineapple skins, mango pips and mint stems into syrups for finishing desserts. Dehydrated peach kernels infuse vinegars. "And we candy the stalks from the tops of fennel for a sweet aniseedy bite. We've used these through sweet breakfast dishes like bircher muesli or brown rice pudding. "We joke that we're feeding everyone compost and they have no idea," she says. Well, she's in good company, because Melbourne's Attica offers "compost crackers" on its menu – and they're brilliant. "We came up with this dish because we had an excess amount of old herb leaves and leaves with holes in them that we could not serve to guests," says head chef Matt Boyle. They're "reconditioned" into a picture-perfect leaf shape, and seasoned with miso powder, salt and vinegar powder on one side, and sheep's milk yoghurt and lime puree on the other. If Mother Nature produced the most amazing salt and vinegar chips, they would taste like Attica's compost cracker. Eating coffee soft-serve for breakfast sounds too good to be true, but at Copenhagen's Andersen & Maillard, it's a smart way to repurpose the cafe's steamed milk, spent coffee and stale bread. When it comes to giving caffeinated grounds a second (and third life), though, Three Blue Ducks in Byron Bay is an overachiever. Darren Robertson says its used coffee is presented to a ceramicist, who turns them into reusable cups. "We've been making kombucha from the spent coffee, too, after reading the Noma fermentation book," he says. Expect a kombucha cola with cinnamon myrtle and other spices soon. You'll also find old coffee grounds in the spiced rub for its brisket and the Spent Coffee lemongrass soap that's sold in its produce store. 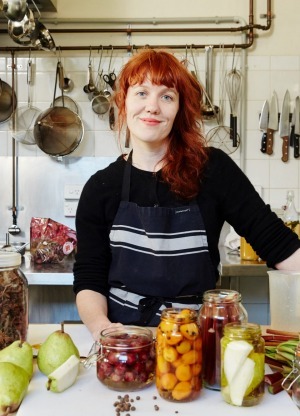 Eat The Problem, the new book by Hobart's Museum of Old and New Art, has provocative suggestions for sustainable eating: think recipes for wood-fired cat and sweet and sour cane toad legs. But even actionable ideas (such as cooking the invasive deer on the museum's property) create another problem, says author/curator Kirsha Kaechele. "Then you have the 'waste', including the tallow, and I am obsessed with tallow as a forgotten resource." Nowadays, palm oil ("a crop with detrimental effect on virgin forests") has replaced the animal fat in soap and candles, but she thinks culled invaders could produce an illuminating source. "We made a tallow candle, and it burned for hours. Far superior to petroleum or big-ag waxes," she says. Chef Sandy Melgalvis, meanwhile, cleaned up in many ways when given more than 100 kilograms of donated lemons while at Melbourne's Top Paddock. "I actually made around 60 litres of lemon curd first," she says. The amount of leftover skin was so "crazy", though, that she turned it into detergent by submerging it in vinegar for five weeks and "it was ready to go: something quick and easy to do at home". 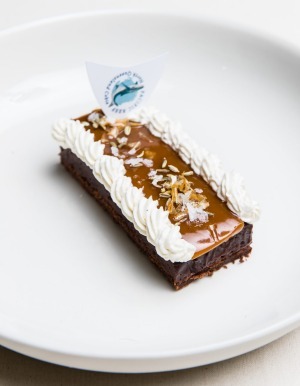 During her time as Top Paddock's head chef, Melgalvis introduced "zero waste dishes": for a bargain $15, diners could try her clever scrap-saving meals: chocolate tart with whiskey cream made from excess bread and barista's milk, and waffles that repurpose old dough, butter from surplus cream and smoked maple bacon ends. At Millbrook Winery outside Perth, Guy Jeffreys has run No Waste Mondays for more than three years now. His restaurant used to shut at the week's start – which meant all surplus food after Sunday's service would either go to staff, chooks or the bin. "It was just a big waste," he says. By ingeniously creating a leftover-led menu, the chef gets to riff on what's available (lamb trim mixed with Merguez-style spices and lentils, for instance, or caponata fashioned from excess eggplant, zucchini and other produce grown on the property), and diners get a four-course menu for only $50. "It books out every Monday," he says. Plus, it allows the chef to reframe perfectly good food: people may reel from offal, but "when you take duck hearts out to every single table and tell them that they're duck nuggets, they love it", he says. "For me, no part of an ingredient should be wasted," says Alanna Sapwell of Brisbane's Arc Dining and Wine Bar. It's why she has a pork head, hock and heart terrine on her menu: it uses cuts that her pig farmer (who "mostly gets orders for belly or loin") can not sell. Sapwell's pork and spent orange salumi with coffee crack, meanwhile, adopts citrus skins leftover from a neighbouring coffee roaster's OJ blitz. Similarly, Cornersmith turned 70 kilograms of spent oranges from Archie Rose Distillery into an orange and fennel syrup for cocktails, tonic mixer for gin and cake puree. Spent grains donated by Young Henrys' brewery is transformed into ginger-spiced cookies, while whey from Cornersmith's favourite cheesemaker, Kristen Allan, becomes caramel for waffles, milkshakes and ice-cream. 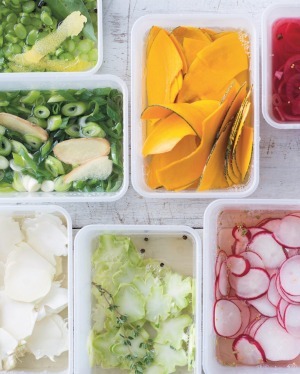 Palisa Anderson, co-director of Sydney's Chat Thai restaurants and Boon Cafe, points out that "waste" is often a cultural concept. Watermelon rind, lemongrass stems and other scraps are often key to curry pastes. "Coriander root, for instance, is considered an ingredient, not a byproduct," she says. Leftover herb stalks, shallot bottoms and other items are often diverted from her kitchens and replanted at her family's Boon Luck Farm. "I can't stand waste. Anyone will tell you, I travel around with a compost bucket," she says. She even brought the bin to The Fat Duck when she dined at Heston Blumenthal's London restaurant 15 years ago and saved leftover bone marrow for her dog. She calls the compost bucket, which is older than her children, the "best thing" her husband has ever given her. At Tokyo's Florilege, Sustainability is the name of Hiroyasi Kawate's signature dish. It features beef carpaccio from 13-year-old cows and draws flavour from a sauce of vegetable offcuts. It's presented with a card outlining how much edible food is discarded in Japan annually: 5 billion to 8 billion kilos – "twice the amount of food aid worldwide". It's all part of a global story: from Alex Atala creating avocado-pip pesto in Sao Paulo to Dan Barber in New York using carbonised pork bones to cook the pig itself, and Australia's OzHarvest running juice-vending machines from ugly fruit (which has stopped "100,000 otherwise unloved oranges" being binned, says OzHarvest founder Ronni Kahn) – imagination is proving a powerful tool against food waste.